Fennel Seeds (Foeniculum Vulgare Seeds) are also called SAUNF (SOUFF) in Hindi (in India). These are highly aromatic and flavorsome dried seeds of fennel plant. Fennel has medicinal as well as culinary uses. It provides marvelous flavors and is frequently used in Indian cooking. Fennel seeds (souff) are sweet and woody in taste. It has many health benefiting nutrients, minerals and vitamins. Fennel seeds have been utilized for treating indigestion, diarrhea, colic and respiratory ailments. It is also beneficial in eye problems and menstrual disorders. People commonly chew fennel seeds after a meal in India, as it helps to digest food and prevents the formation of gas in stomach. It is an aromatic herb, which is also used as a mouth freshener. It also relieves gum disease or toothache. Sweet Fennel also contains coumarins and flavonoids. Bitter fennel essential oil obtained by hydrodistillation contains trans-anethole, fenchone and estragole, as major active constituents. Fennel essential oil is commonly used in Aromatherapy due to the high content of Anethole and Fenchone. These bioactive substances exert stimulatory action on the digestion and improve respiratory function. Fennel seeds are well-known for anti-flatulent, antispasmodic and stomachic action. It relaxes the abdominal muscles, reduces spasm, eliminates intestinal gas and relieves pain. Secretolytic – Fennel breaks up the phlegm secretions and reduces viscidity of the mucus. It clears the lungs. So, it acts like a modern secretolytic agent Ambroxol. According to Ayurveda, use of fennel as medicines reduces all three TRIDOSHA (VATA, PITTA & KAPHA). It has a sweet, astringent-like and bitter taste. Fennel has a cooling effect on the body. Its leaves have a sweet, woody taste in the mouth. Ayurveda suggests against cooking fennel. As cooking kills its properties instead one should steep fennel. It helps in washing out toxins from the body. Fennel seeds are mainly used for problems related to the digestive system. Secretolytic property helps in respiratory diseases. Antispasmodic action relieves cramps and abdominal pain. Its beneficial effects appear on stomach, intestines, liver, brain, heart, kidneys and uterus. Health Benefits of fennel (Foeniculum Vulgare) include its ability to preclude abdominal diseases, prevent gas formation and to help in weight loss, indigestion, cancer, and aging. It improves strength and promotes longevity. Fennel seeds are one of the important medicines used for treating inflammation of the stomach. Fennel seed powder is commonly used to treat gastritis symptoms. It modulates the secretions of gastric acid and soothes the mucosal lining of the stomach. According to ayurveda, it actually does not reduce gastric secretions, but it reduces the TIKSHNA GUNA of PITTA (abnormal sharpness of gastric acid that causes inflammation in the stomach). Therefore, it does not likely to reduce appetite. Instead, it is likely to increase appetite. Many patients with gastritis, indigestion, heartburn, acid reflux or GERD have loss of appetite. In such cases, it also works to improve appetite due to modulation action on gastric secretions. For best results in gastritis or heartburn, it can be used along with licorice root powder (Mulethi Churna), amla powder (Indian Gooseberry), and coriander seed. All these herbs should be mixed in equal proportion. The dosage is 1 teaspoon twice daily in between the food. Indigestion (dyspepsia) is a condition related to GERD, ulcer and other underlying diseases. Fennel exerts similar action to reduce burning sensation in the abdomen. The carminative action helps to relieve belching and gas. The antispasmodic action helps to alleviate abdominal pain. Its antiemetic action helps to cure nausea and vomiting. It has gastric secretion modulation action, which helps to reduce acidic taste and sour taste in the mouth. 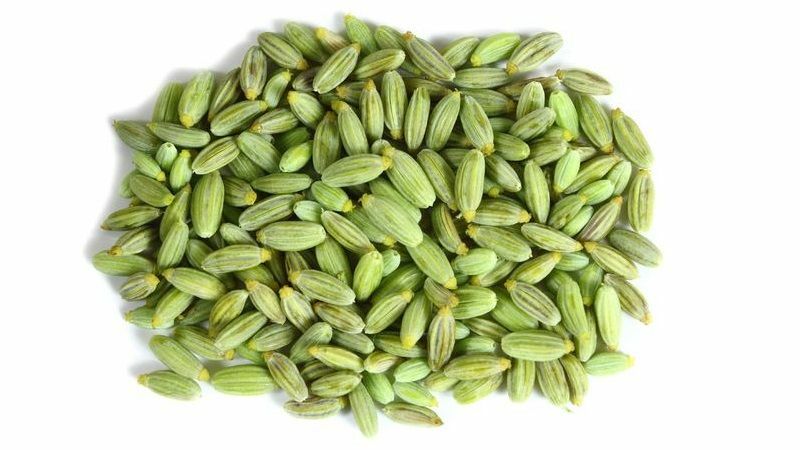 Like cardamom seeds, Fennel seeds are also beneficial for reducing excessive thirst. It is commonly used for this purpose in ayurveda. For reducing excessive thirst, its seed powder can be mixed with brown sugar (Shakkar) or rock sugar (Misri) in equal proportion and taken with water. Alternatively, Fennel seed distillate (Saunf Arq) or fennel water in a dosage of 60 ml thrice daily can also be used. The Greek name of fennel is ‘marathon’ derived from ‘Marino’, which means to grow thin. Fennel seeds are a metabolic enhancer. Fennel boosts fat metabolism and prevents excess fat accumulation. It helps one to reduce weight. However, fennel seed is wrongly stated as an appetite suppressant. It does not reduce or suppress your appetite. According to ayurveda, it normalizes appetite and improves digestion. If you suffer from loss of appetite, then it will increase your appetite. We have a huge experience on this using it in many of our patients to improve their appetite. Actually, it keeps your appetite as natural as it should be and helps you to have a good appetite. If you have loss of appetite, then it will help to modulate gastric secretion and improve liver functions, which ultimately normalizes your appetite. In fact, it acts as a gastric modulator, so it balances the secretion, as discussed under heading ‘Gastritis’. The effect on obesity is due to its effects on metabolism and on the usability of the fats. It also induces burning of the accumulated fat. However, its effects as fat burner are not comparable with most of the ayurvedic medicines used for weight loss. Fresh fennel is a low calorie, low fat, and a high fiber vegetable. 100 grams of raw fennel contains 30 to 35 calories and approximately 3 to 4 grams of dietary fiber. Such a composition adds bulk to the diet without increasing the overall calorie intake. Studies have found that fennel protects vision loss. It helps in reducing eye pressure which otherwise increases the risk of cataract and blindness. Diabetic retinopathy (vision loss in diabetes) is a complication of hyperglycemia. Anethole, an active compound present in fennel helps in normalizing blood glucose level and thus reduces the risk of vision loss. Furthermore, Anethole increases soluble lens protein and slows down the onset of cataract. For getting better results, fennel seeds can be combined with Ashwagandha and Shatavari Powder. The mixing ratio of these three herbs should be equal. The result achieved with this combination has a fewer chance of regression. Fennel seeds (saunf) eliminate cold. Fennel seeds contain alpha-pinene and creosol, which helps in loosening congestion and make coughs productive. Boiling fennel seeds and leaves and inhaling them provides relief from asthma and bronchitis. Fennel seeds are also good for pharyngitis and sore throat or sinus problems. Fennel seeds (souff) help lactating mothers by improving the milk production. Fennel seeds help to relieve gastrointestinal issues. Fennel oil relieves colic in infants. Fennel powder can be used as a poultice for snakebites. In the case of heat stroke, one can soak a handful of fennel in water overnight. Have the strained water in the morning with a pinch of salt. Prevent Aging and Cancer: Fennel seeds (souff) contain antioxidants like quercetin and kaempferol. These anti-oxidants remove toxic radicals in the body and prevent cancers, neurological diseases, and aging. The body skin tells the age of a person. The anti-oxidants in fennel seeds help in keeping the skin fair and young. The fiber in fennel seed protects the colon mucous membrane from cancer. Fennel oil can be used in an oil blend. It can be massaged in the face and neck overnight to tone the skin and prevent wrinkles. Fennel seeds, soaked in water made into a paste mixed with oatmeal and honey, are a great face pack to prevent aging of the skin. It is a very effective scrub to cleanse, firm and freshens the skin. Improve Digestion: Fennel seeds are a rich source of dietary fiber. Our body needs the insoluble fiber for better functioning of the stomach relieving one of a condition such as constipation. The dietary fibers bind with the bile salts and prevent it from getting absorbed into the system. The bile salts produced by cholesterol are harmful to the body and raises cholesterol levels. Consuming fennel seeds can help keep the cholesterol under control. It is an anti-emetic, purgative and a hepatic herb. Good source of Minerals, vitamins, and Oils: It is a good source of Iron, Copper, Potassium, Manganese, Zinc, Magnesium and Selenium. Each of the nutrients is needed for proper functioning of the human body. Fennel is a storehouse of vitamins A, Vitamin E, Vitamin C and B-complex vitamins. All these vitamins are in a concentrated form in these seeds. It consists of essential oils, which have great health benefits. These oils are carminative in nature and help in better functioning of the stomach. Oil of fennel relieves muscular pains. Hence, it is used in massage blends, especially in ayurveda. It calms the nerves and promotes mental clarity. Acts as a coolant: Fennel seeds have properties, which cools the body. During the scorching summers, generally, people consume Fennel seeds drink to relieve the heat. Fennel Oil massage: Fennel oils used in massage oil blend helps detoxify the body. Due to this massage, there are fewer toxins in the body to flare up the conditions like arthritis, immune disorders, and allergies. Strain fennel seeds and keep the fennel water aside for further use. The fennel seeds should be ground into a fine paste. Add the strained water to the fennel paste. Then leave it further for 3 hours, so all active constituents can be absorbed into water. Strain the mixture again and separate the fennel water. If you are using fennel water for therapeutic purposes, it should be taken warm and without sugar. For this purpose, you should always prepare it fresh every day and don’t store it in the refrigerator. Note: You should not add sugar in fennel water especially when you are using it for getting rid of abdominal colic, gas, bloating or other abdominal conditions. Sugar might negate the anti-colic and anti-flatulent effects of fennel water. Consuming fennel tea will relieve one of the sore throat and gastrointestinal issues. Drinking fennel tea regularly helps detoxifying the body. Grind the fennel seeds to a coarse powder. Boil water and add the fennel powder. Place a lid over the vessel and turn off the heat. Strain the fennel tea after 5 minutes. Add honey or jaggery syrup and consume warm. The dosage of fennel and its preparations is as follows. One can chew fennel seeds or take the powder of fennel seeds, as the dosage recommended in the table. * The maximum dosage of Fennel seeds is a general estimate. Generally, it should not be consumed more than 9 grams per day. In some cases, it is used more frequently and dosage can be up to 18 grams per day. Note: Similar dosage is applicable to Fennel Root Powder, which is commonly used for inducing purgation. Best Time to Take: After a meal for digestive action; Before meal for appetizer action; it can be taken anytime without worrying about food, especially in the case of abdominal pain, cramps, uterine cramps and other types of spasmodic pains. Note: The dosage shown in this table is also applicable to Fennel Infusion, Fennel distillate (SAUNF ARQ), Fennel Seed Water, and Fennel Tea. Fennel seeds (Saunf) are Likely Safe in food amounts or less than 18 grams per day. A natural or crude form of fennel seeds is safer than fennel extracts or fennel oil. Fennel distillate, Fennel water, Fennel infusion, and fennel tea are also to be safe. Fennel in natural form does not likely to cause any side effects when consumed as per recommended dosage. 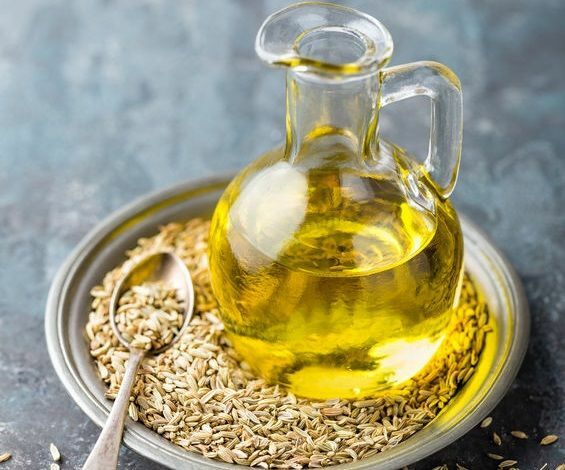 The excessive use of fennel seeds can increase the sensitivity of the skin for sunlight and increased sensitivity might increase the chances of getting sunburn. 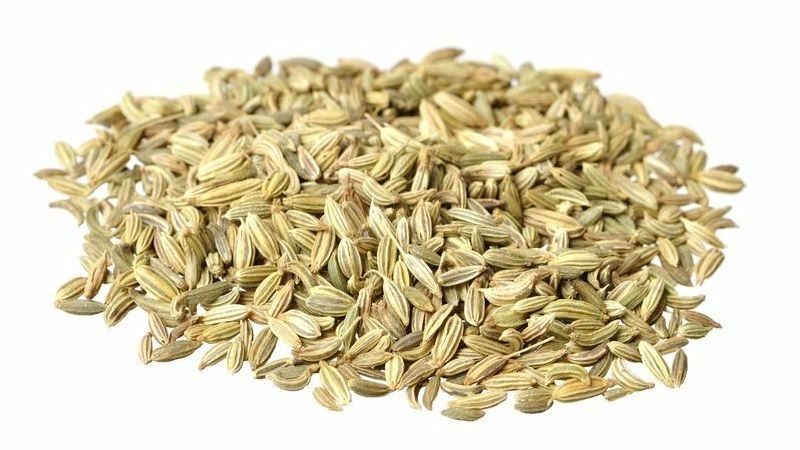 Generally, Fennel seeds and its traditional formulations are used during pregnancy for treating nausea, loss of appetite, indigestion, vertigo, belching, and abdominal pain. In all these conditions, fennel seeds are effective and useful. Fennel seeds in low dosage (less than 6 grams per day) are likely to be safe during pregnancy. It should not be taken in higher dosage or in extract form. Fennel actually improves menstruation by reducing cramps and menstrual pain. In higher dosage, fennel might exert emmenagogue action and promote bleeding. However, fennel seeds have very insignificant effects on inducing menstruation or promoting bleeding. This action is also entirely dose-dependent and only appears when fennel seeds are taken in higher dosage. However, this effect is still mild, but pregnant women should stay on the safer side and avoid using it in excess (should not take it more than 6 grams per day). Avoid using fennel oil, fennel extract, or any unnatural form of fennel. The similar principle applies to women trying to conceive. 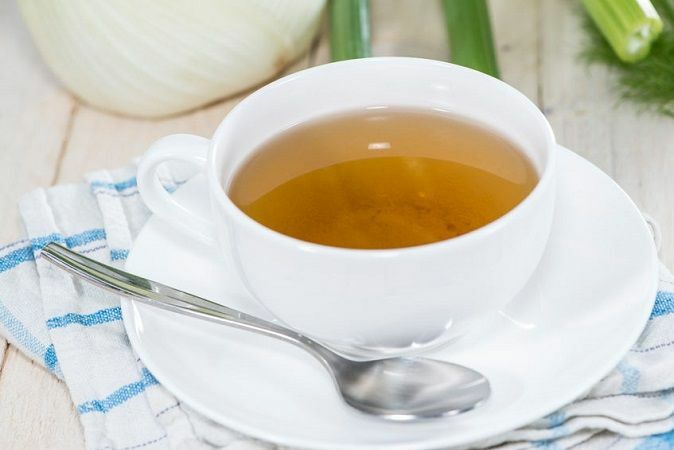 Fennel water, fennel tea, fennel infusion, or fennel decoction prepared with traditional methods are also possibly safe when prepared from 6 grams or less than 6 grams fennel seeds. 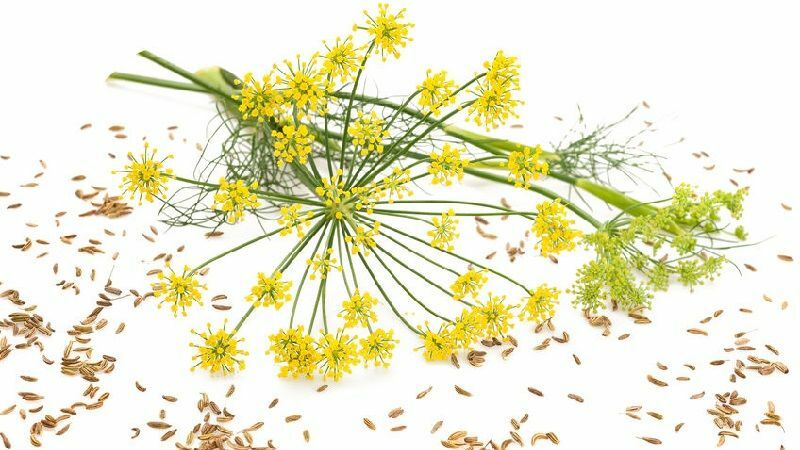 However, fennel extracts derived with any method using alcohol, or supercritical CO2 and fennel seed oil should not be used during pregnancy or while trying to conceive because the safety profile of these derivatives is unknown and these forms are not traditionally used. Traditional medicines including ayurveda only recommend using fennel in its natural form. Fennel is commonly used for its galactagogue action. It increases breast milk supply and induces milk secretions. It is also used in infants for treating common abdominal and digestive problems. Fennel seeds are likely to be safe to consume by lactating mothers. There are no adverse effects reported with the use of Fennel in lactating mothers and breastfeeding babies. If a person suffers from a condition that might become worse by exposure to estrogen, then fennel must not be taken, e.g. breast cancer, uterine cancer etc. Some people have allergic skin reactions to the use of fennel, so they should avoid fennel. Scientific Research has proved that fennel oil can be safely used for relieving colic of breastfed infants. Dosage should be twice a day for a week’s time. Fennel oils are also used in making soaps, toothpaste and mouth fresheners. Can we take fennel seeds in pregnancy? You can take saunf in small amount during pregnancy, but you should avoid it using in larger amounts and on regular basis. In small amount, fennel seeds (saunf) can help getting rid of nausea, loss of appetite and vertigo during pregnancy. In larger amount, it should not be taken because saunf has mild emmenagogue effects, which means it promotes menstrual discharge or bleeding. However, this effect is mild, but you should stay on safer side and avoid using it in excess. Is overdose of flaxseed harmful. Yes, over dosage of flax seeds or flax seed oil can be harmful. Flax seed over dosage may cause shortness of breath and make person to feel weakness. Indigestion is another concern associated with flaxseed over dosage. I eat saunf every day. I’m addicted to it and I feel because of it. My hemoglobin level decreases and I suffered from anemia. Please -suggest me whether it’s because of saunf that my hemoglobin decreases to 5 gram? There may be other cause of anemia in your case. Fennel seeds are a good source of iron and enzyme histidine, which stimulate the production of hemoglobin. Please do consult with your family physician for the treatment of anemia. As we all known, everything in excess amount and beyond limits can result in bad effects, so just limit your intake of fennel seeds to less than 12 grams per day. I have irregular periods. I had read that fennel seeds water helps in getting menses. I had been soaking 2 tablespoons fennel seeds in one glass of water in the night and early morning straining the seeds and drinking the water. It has been almost 11 days I am drinking, but don’t have my menses. I am really worried. Please advice. Fennel seeds are not potent enough to induce menstruation. The actual effect of fennel seeds is on painful periods or cramps due to its moderate antispasmodic property. It is less effective to bring on menstruation. However, it may help regulate periods if taken more than 3 months regularly. One may require other remedies as well. Asafetida (HING) has more emmenagogue effects than fennel seeds, so it is considered the best remedy for inducing menstruation. If Asafetida does not bring on menses within 15 days, then there will be the problem of major concern. Several other factors also play role in irregular periods, for example, hormonal imbalance, stress or long-standing illness etc. You also require ruling out all these things with your healthcare provider. Can fennel seeds be roasted and will they lose their properties if roasted? 1. Yes, you can roast fennel seeds. The roasted fennel seeds are used for a sore throat in folk medicine. 2. The medicinal properties of fennel seeds are attributed to a volatile oil present in them. Therefore, roasting fennel seeds will decrease the medicinal value. Furthermore, nutritional content will also decrease. I am having fennel water daily. Can we combine eating flaxseed with it? What is the correct dose of having flaxseed and fennel seeds water? 1. There should be no problem combining fennel water and flax seeds. 2. The dosage of flaxseeds is approx. 3 grams twice daily. Are Fennel leaves also beneficial for anemia? Can you provide any reference that can be used for citation? 100 grams Fennel bulb (raw) contains 3 to 4% iron content based on nutritional analysis for 2000 calories diet. Iron content is less than that can help in anemia, but it can provide supplemental support in addition to other medication used for anemia. There is no particular reference available for fennel leaves use in anemia, but you can cite nutritional table of fennel bulb if it is possible. I am surely going to use funnel water (boiled) to reduce my weight! I made TADALS (I do not know how to spell it) it’s an Italian cookie/pretzel like. And it’s made with a lot of fennel seeds first boil TADOLS then bake. I have been eating them a lot. (The totals) and now my tummy is sick and I have been puking and cannot keep anything down. Is it possible I am allergic to fennel seeds? I am not sure for this. Please check other ingredients as well and stop taking it. I sneeze after eating fennel seeds. What might be the problem? I am in my 29th week of pregnancy. I have suddenly developed craving for fennel seeds. I am currently consuming lot of it. Will it cause harm to my baby or me? Would appreciate speedy revert. Fennel seeds can be taken in small quantity i.e. less than 6 grams or may be up to 10 grams per day. It is not likely to harm pregnant woman or developing baby. Higher dosage of fennel seeds should be avoided in pregnancy. The higher dosage of fennel seeds means more than 10 grams per day. It may affect pregnancy causing uterine contractions, but this effect is very insignificant in quantity less than 6 grams per day. I have been consuming 70 grams of fennel seeds per day and my hemoglobin rate has gone down. Is it due to excessive eating of fennel seeds? I am not sure about your hemoglobin level, but you are taking excessive amount of fennel seeds, which is not advisable. Excess of everything is bad. My toddler eat fennel too much like 4 to 5 spoon daily some time more than this and he have problem of constipation and very picky to eat food or fruits. He don’t wanna eat his food or anything else he only like fennel seeds. Is the fennel seeds are reason behind he didn’t feel hungry? Fennel seeds should not be taken in excess amount. Everything in excess is bad. In excess, it can also affect appetite negatively instead of increasing appetite, or alter dietary habits, so you need to restrict its intake to a half teaspoon per day for toddler. In children, the best way to restrict anything is to change their attention to something else, which is more interesting or appealing for them. Therefore, you should choose some healthy foods, which he likes most. I consume almost 100gms of fennel seeds daily and am addicted to them. What to do? It is easy to say give it up, but very very difficult to actually practise it. Is fennel seed also helpful in curing pimples and how much dosage we should be taken? Fennel seeds have some antioxidant and antimicrobial properties. It should be used in two ways to treat pimples. 1. Eat fennel seeds in quantity of 1 teaspoon twice daily. 2. Apply paste prepared using fennel seed powder and water on the affected skin. It can be more effective when it is mixed with other herbs like Turmeric, Mulethi, Manjistha and Lodhra (all herbs in equal proportion). I have heard saunf seeds are one of the cause of impotency. Is this true? According to ayurveda, Saunf has aphrodisiac and spermatogenic action. Therefore, it will help to treat impotency and oligospermia in men. In conclusion, SAUNF does not cause impotence when used in the recommended dosage and in its natural form. Fennel seed water is okay to consume if trying to conceive? How to use Fennel seed in case of Cataract. Please also inform how to use for improving other eye problems. Eating a teaspoon of fennel seeds twice daily helps to improve the eyesight and reduce cloudy vision. The effectiveness of fennel seeds in the treatment of cataract is unknown. The Canon of Medicine (Al-Qanun fi’l-tibb) by Avicenna recommends using fresh juice of fennel plant with honey and wild marjoram to treat the initial stages of cataract. Thanks for your reply. I will be grateful if you can recommend any eye drop and medicine for improving general eye conditions in addition to fennel. Netra Sudarshan Ark is best ayurvedic medicine for all types of eye diseases and keeping eye healthy. Thanks for your reply. Can I also use Isotine Plus eye drops & capsule. Yes, Isotine Plus is also very useful in general eye conditions. How to make saunf Arq? I can’t get it from any reliable source. I am Pansari from PATIALA. Distributors are also not sure of quality of branded products like Hamdard or Dabur. If I can get any equipment through which I can prepare it. Please help if you can because I want to sell original Arq. I addicted by saunf extremely. I take 50gm broiled saunf (JK) daily. Is it harmful to me? My breast is very small, I want to increase it. Can I take raw fennel seeds of around 2 teaspoons every day irrespective of any time? Will it increase my breast size? How much fennel seeds are effective for improving digestion. Can it help to prevent heaviness in the abdomen after food? Fennel seeds enhance the action of gastric juices and stimulate the flow of bile. By these two mechanisms, it improves digestion. Yes, it also reduces bloating and heaviness in the abdomen. It reduces acid indigestion, promotes elimination of gas and further prevents gas formation. Thus, it ultimately helps to ease the abdomen and alleviates abdominal heaviness. Hello! I just delivered my baby 15 days ago. Can I drink fennel water to increase my supply? Will it adversely affect my uterus or bleeding? Thanks. Yes, Fennel seeds or fennel water can be taken. There should be no adverse effects.